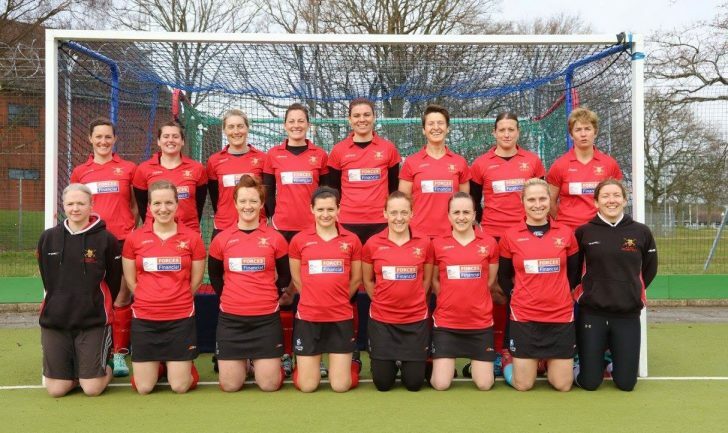 The Army women hit the goal trail as they mounted an emphatic defence of their Inter-Services hockey crown in Aldershot. Having dominated the tournament in recent seasons there appeared to be little sign of an upset as the soldiers plundered 25 goals against their Forces rivals to record two comfortable wins. 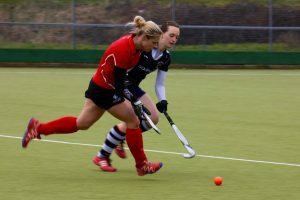 A tight opening spell against the Royal Navy masked the carnage that was to come as the Reds effortlessly moved through the gears and surged to a 15-1 victory. 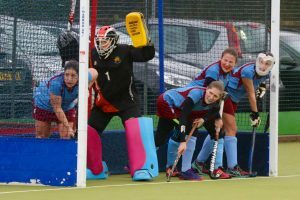 An early strike from skipper WO2 Sharon Stones [REME] started the rout but the Senior Service found parity from a penalty corner. However, the successful conversion proved to be a rare foray downfield for the visitors as Capt Cheryl Valentine [AMS] set about building a lead. The officer hit a 15-minute hat-trick to put her side firmly in control and further strikes from Sgt Amanda Potgieter [REME] amd Capt Emma Lee-Smith [AAC] saw the defending champions open a 6-1 advantage at the break. The onslaught continued in the second half as Valentine took her tally to six, while Lee-Smith completed her hat-trick with some clinical finishing from the edge of the D.
A bace from Maj Nic George [R Signals] and further goals from Stones and Potgieter completed the win. “This game gave us the chance to develop some of the things we have been working on in training” Stones said at full-time. 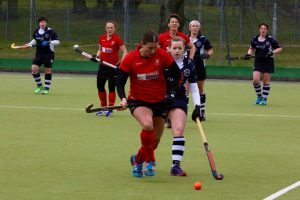 “The Navy came at us pretty strong in the first ten minutes but a lot of our girls are now playing regular civvy hockey so we knew we would be OK.
“There were a few people who were experiencing the Inter-Services competition for the first time and they did not look out of place. The team downed the Royal Air Force 10-0 a day later to retain their title. Report courtesy of The Soldier magazine.